Today, polls show that two-thirds of Americans think our country is headed in the wrong direction. As you are checking out the Dayton TEA Party website, it’s likely that you also have these concerns. What does this really mean? Is America heading west when it should be going east? Of course not. What we are really talking about is values. Most Americans believe that our nation’s leaders are making choices, undertaking actions, and conducting themselves in ways that we don’t find honorable and just. All of these are taking us farther and father away from the liberty and freedoms, the Rule of Law, and the constraints on government powers supposedly guaranteed by our founding documents of the Declaration of Independence, U.S. Constitution, and Bill of Rights. If you agree with these, then you are thinking about liberty as do most within the TEA Party movement. Are you surprised to find this out—that TEA Party folks are just like you and are not the terrible folks often portrayed in the media and, especially, by establishment politicians of both major parties? 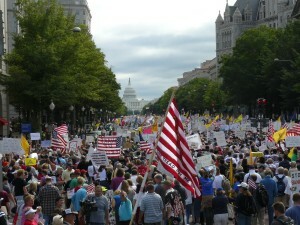 Back in 2009, the TEA Party movement began under the banner of Taxed Enough Already. Soon, however, as the abuses of power and the real meaning of “transforming America” of President Obama and his administration became apparent, the banner acronym changed to Totally Engaged Americans. Although government fiscal policy and, especially, growing taxes, remained a serious concern, the increasingly apparent political and legal threats to our liberty and constitutional rights required a broader grassroots response. 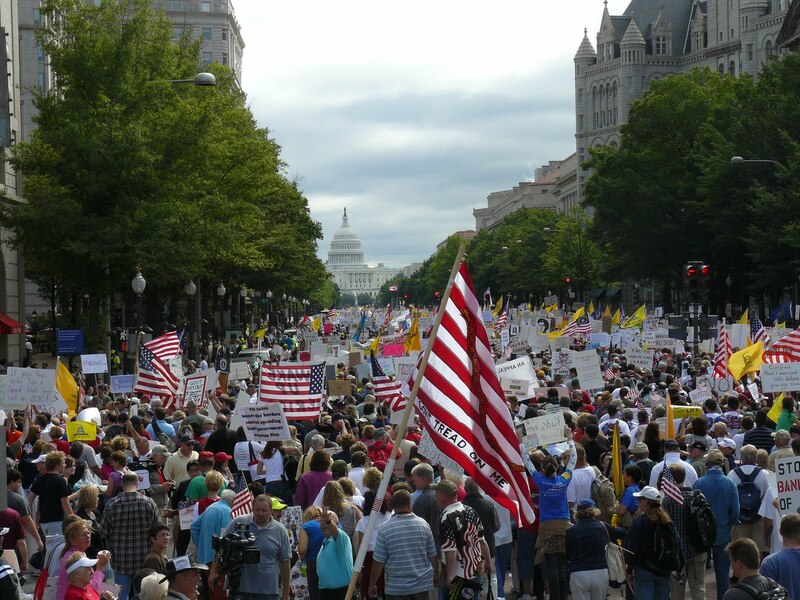 Now, the movement has transformed, again, into the TEA Party Citizenry—Americans just like you that are now organizing at the grassroots level to take back control of the political process in America. Why? Because, Politics is all about WHO rules us and HOW they rule us. Every American of voting age needs to fully understand this fundamental political “law”. Sit on the sidelines disengaged politically and someone else will decide how you are be ruled. This is what happens when Americans “tune out” politics. And this is why two-thirds now think America is heading in the wrong direction! One of the biggest political frauds perpetuated on the American people is the feeling of many that they just don’t like politics—that it turns them off to the extent that they tune it out and fail to vote or fail to vote informed on candidates and issues. Our American political system is defined by our constitution. We are a republic by virtue of this constitution—a republic in which every law-abiding adult citizen has the right—we argue, a civic duty—to knowledgeably participate in deciding WHO is to represent us and, consequently, to rule us. What is now clearly apparent is that many Americans have been intentionally discouraged from participating in our elections by all of the political shenanigans of establishment politicians of both parties reinforced by biased and intentionally misleading media reporting of so-called journalists. Take, for example, the blame game of no political compromise resulting in legislative stalemate in the U.S. Congress. Many point to this as the “reason” why they are turned off by politics. Yet, who benefits from the fraud of this supposed stalemate? The very politicians who fail to have meaningful discussions leading to acceptable compromise. Through stalemate they avoid having to make difficult values-focused votes and then to defend their actions. Instead, they can point the finger of blame at the “other party”. Inquisitive voters, expecting reasonable values-based compromise, get turned off and the remaining “low-information” voters are easier to be lied to and manipulated to vote to keep the same politicians in power or elect new politicians of the same stripe. The politicians engaging in this turned-off/tune-out fraud are the “establishment politicians” of both parties. They are political actors—literally—and not the statesmen the nation needs to put it back on a path supported by most Americans drawing on our common shared values. We have the power of the vote and the primary election in March, 2016, presents the next opportunity for the collective voice of values-focused American voters to be heard. But to be effective, a game plan or strategy is needed and this is what the Dayton TEA Party, along with other TEA Party movement groups across Ohio, are now putting into effect. As a TEA Party citizen, what should you do now, starting today? Vow to be an informed voter. Demand that your county Democratic or Republican Central Committee be comprised of grassroots representatives reflecting traditional American values. (Don’t know what the Central Committee is? Hmm. Do you know the definition of a mushroom voter? —kept in the dark and fed *&#^. The DTP will clearly explain the importance of the Central Committee to you. You will vote on your representative to this committee in March, 2016. Even though this will be the presidential primary, your vote for the central committee will be the most important vote you will cast—it is where we grassroots Americans begin to take back control of our political process. Make modest donations to support the Dayton TEA Party. We are also not shy about asking for your donations. It takes financial support to reach concerned folks like you throughout the Miami Valley. $5, $10, $20 donations make a big difference in enabling us to turn mushroom voters into informed voters. We look forward to your active involvement in putting America on the right path. Working together, this can start in March, 2016. Connect with us via email and through social media. Thank you for becoming a TEA Party Citizen.